Deborah Cook practices critical care medicine at St. Joseph’s Healthcare Hamilton. At McMaster University, she is Professor of Medicine, Clinical Epidemiology & Biostatistics and Academic Chair of Critical Care. Her multi-method multi-disciplinary research interests include life support technology, prevention of ICU-acquired complications, end-of-life care, and research ethics. 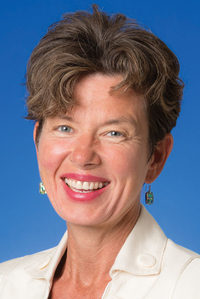 As a Canada Research Chair in Knowledge Translation in Critical Care, and former Chair of the Canadian Critical Care Trials Group, Dr. Cook has published over 700 peer-review articles and supervised many young trainees and successful faculty. Dr. Cook has received numerous local, national and international awards for her practice, teaching, mentoring and research. In 2016 she was named an Officer of the Order of Canada for her contributions to improving the care of critically ill patients.